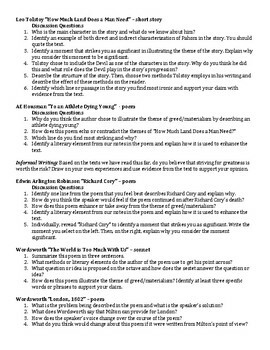 This is a full unit plan for grades 9-12 in which students read and examine a variety of texts (information, short story, poetry, etc.) 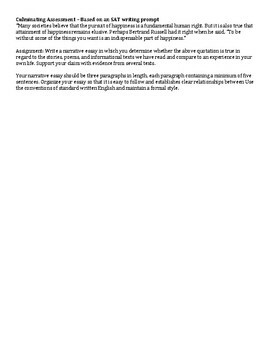 to draw conclusions on the the theme of Greed. 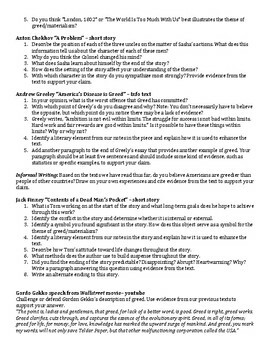 Includes discussion questions for each piece along with informal writing prompts and a culminating assessment based on an SAT essay prompt.